Spiral bound desktop calendar collection: Year 2012. 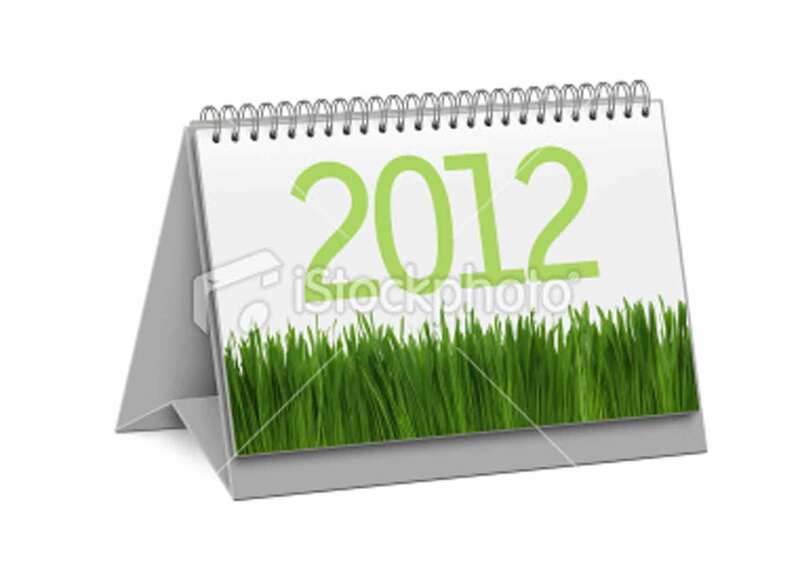 In this version: “2012” text and green grass on cover page with textured gray stand. Clean image and isolated on white background.